I have been doing tons of reading for our upcoming visit to Paris, but am logging quite a bit of screen time as well (merci beaucoup, Amazon and Netflix!). Probably the only Woody Allen movie I have watched that actually has a nice moral to it. He wrote and directed several of my favorite films, but he is not exactly known for happy feel-good movies. This one really stands out, and as with "Manhattan," he created an opening montage of a city that is simply breathtaking. A classic - and great opportunity to practice listening to and understanding French while desperately trying to ignore the English subtitles. Doesn’t have the suspense of the novel, but you get to see a lot of the City of Lights at night here. Probably not entirely historically accurate, but you can get a glimpse of France during the American Revolution and the time leading up to the French Revolution. And a much younger Gwyneth Paltrow as Jefferson's (Nick Nolte) exceedingly pouty and annoying daughter. If I knew how many times I had watched this film, I'm sure I'd be embarrassed to admit it. I have also read the two books on which the movie is based multiple times. As entertaining as the "Julie" part of the story is, I'd be just as happy with a lot more of Julia and her husband, wonderfully portrayed by Meryl Streep and Stanley Tucci. Mostly set and filmed in New York, but the climactic scenes are set in Paris. Again - mostly in New York. But you get a quick glimpse behind-the-scenes of Paris Fashion Week. Until last night, I had never seen any of the movies in this trilogy that includes "Before Sunrise" and "Before Midnight." This was on the in-flight entertainment system on my flight, and since it was the Paris installment, I tuned in. 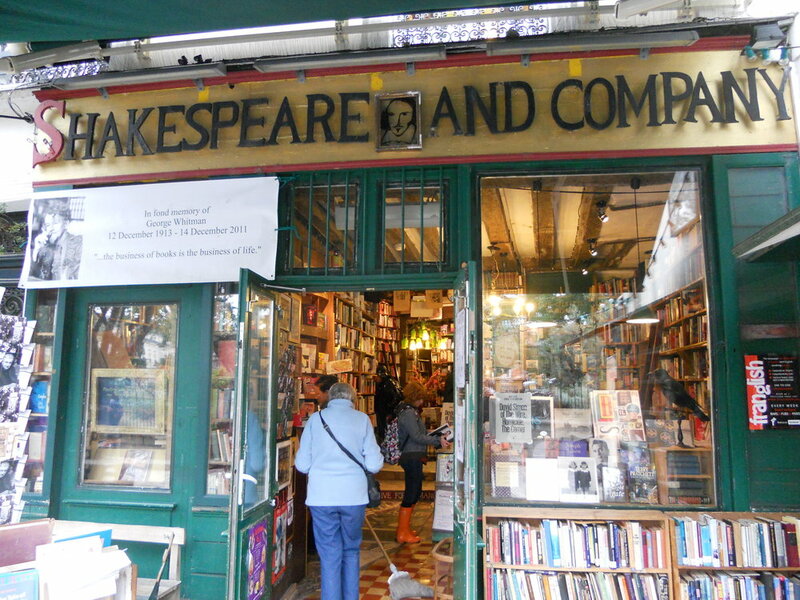 From the opening scenes at Shakespeare & Company, I was hooked. Not a movie, but I am utterly obsessed with the European episodes of this show. I even have collections of "Paris" and "London" episodes saved on Amazon that I can stream to my heart's delight. Not a typo. A film so nice I list it twice. What am I missing here? What other movies should not be missed?